Blondie’s Tavern! – Go Blondie! So, I was so hungry tonight that I was getting crabby! Oops. 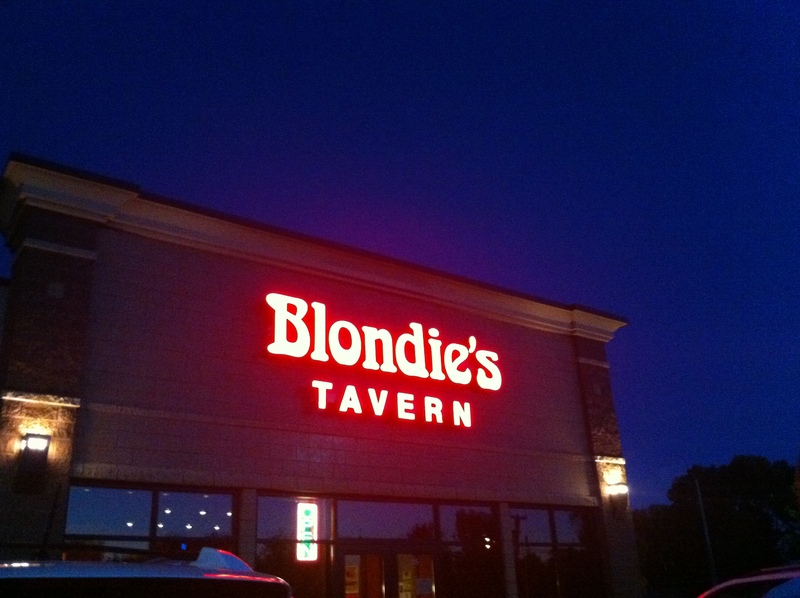 I went through our coupon pile and found a coupon for a place called Blondie’s Tavern. I told Carl we had to go so I could get a picture! It is a fairly new place. The food was very good, the people were nice and the place was clean. They had great drink specials. Wine Wednesdays- 2 for 1’s! It can’t get better than that! Happy 21st Birthday to my younger sister! I like neon things. Thank you.